When rebooting your system, if you are asked to choose between WipeDrive or Windows from the Boot Manager screen, simply choose Windows. The software should then be uninstalled upon boot-up, and the selection should be removed the next time you reboot your system. Warning: Please follow these instructions carefully. If the selection for "Windows" is removed instead of the selection for "WipeDrive", you will not be able to access Windows any more, and will need to use a repair or re-installation CD to use Windows again. 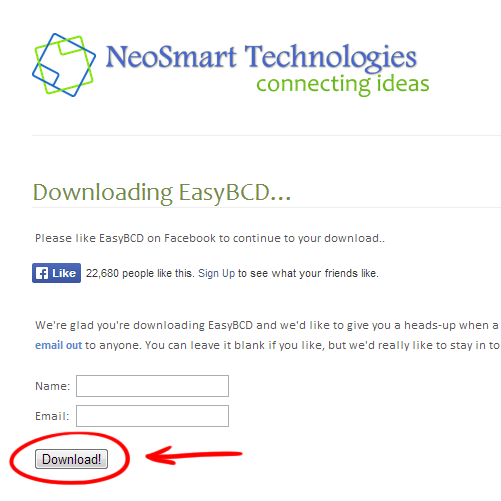 1) Click here, then click Download on that page. You don't have to enter a name or e-mail if you don't want to, however, if you did, the developers of the software would use it to keep you informed of any newer versions that they release. These new versions may include bugfixes, and ways to prevent the user from accidentally removing Windows entirely. 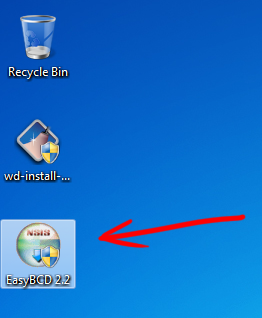 2) Run the downloaded installation file and proceed with installation. If you're unsure of any option during installation, simply click Next or OK.
3) After the application has been installed, go ahead and launch or run the software. 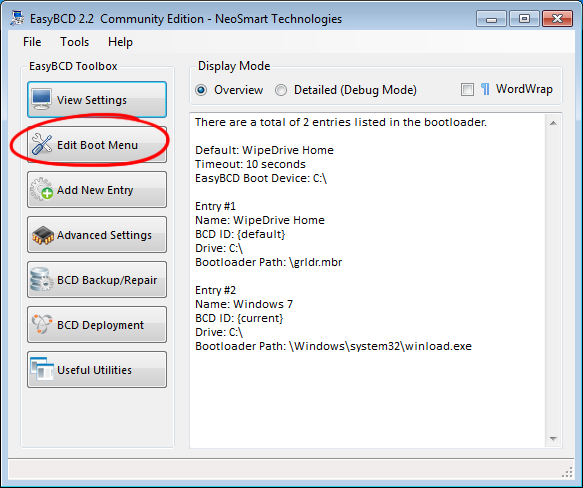 You may notice that it shows the default boot option as WipeDrive Home. Click Edit Boot Menu on the left side of the window. 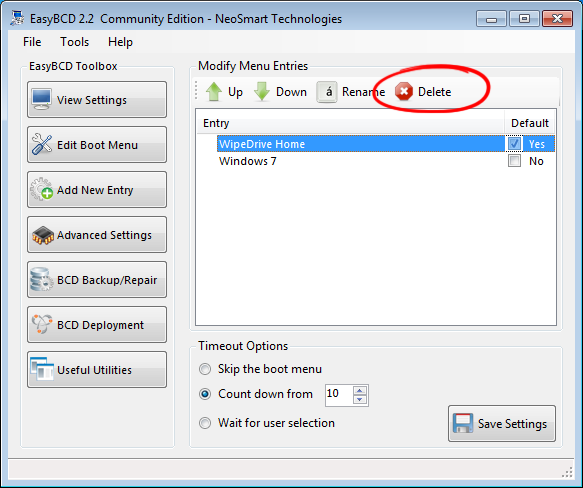 4) Highlight WipeDrive, then click the Delete button at the top. 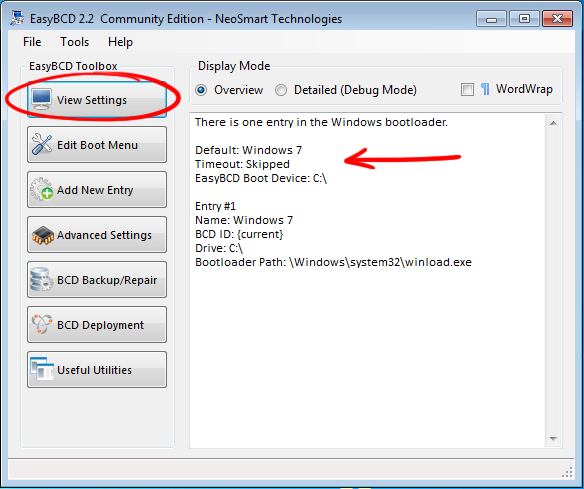 5) Make sure to select Windows as the default boot option, the Timeout Options are set to Skip the boot menu, and that you click the Save Settings button when finished. 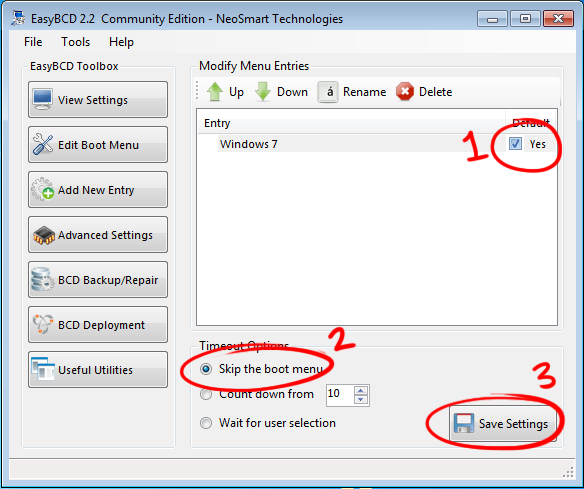 Failure to set these may keep the default boot setting as WipeDrive, but erase Windows, making it almost impossible to load Windows after you reboot the system. 6) Click the View Settings button on the left side of the window. 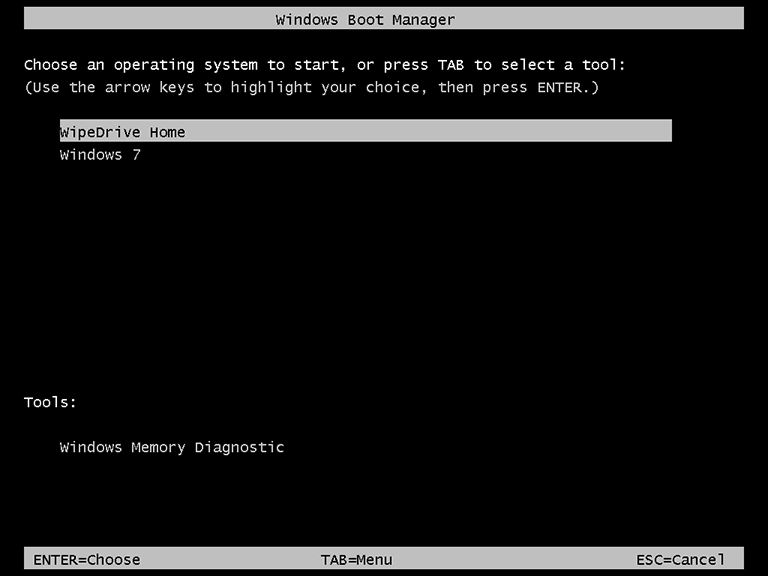 If the default option is now Windows 7, it is safe to close the software and reboot your computer.